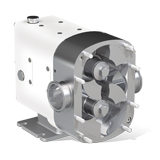 The new Revolution™ along with the TRA10 and TRA20 offer a reliable positive displacement circumferential piston pumping principle that has been proven over many decades. The TRA10, TRA20 and Revolution™ are all dimensionally interchangeable with Waukesha® for comparable models. 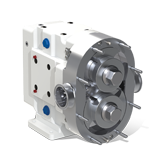 This makes it very easy for the customers to upgrade their pumps.